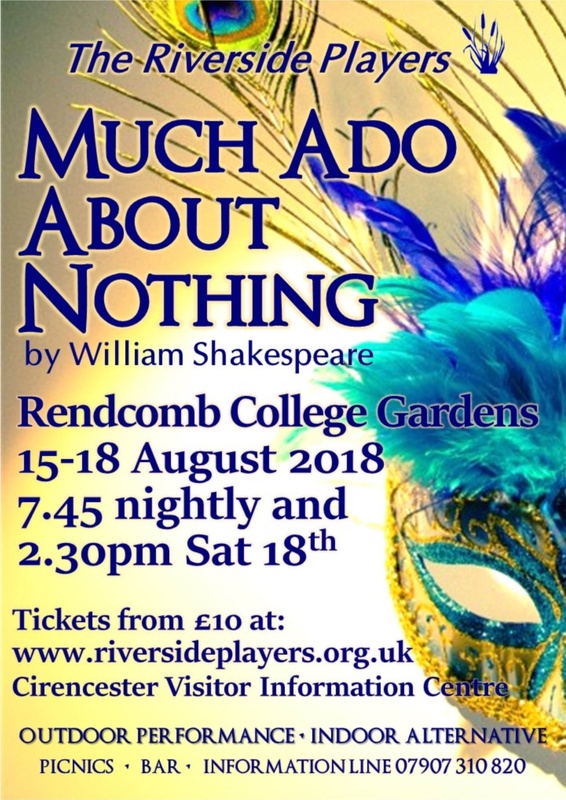 Held within Rendcomb's grounds on Wednesday, 15 - Saturday 18 August. Doors open at 6.30 for picnicking. 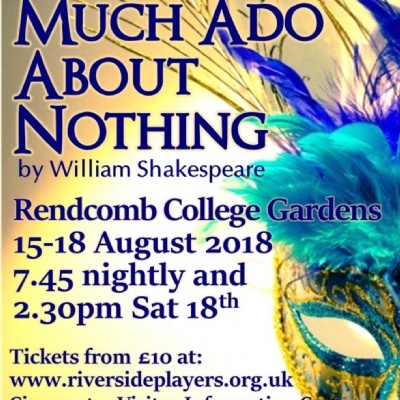 The Riverside Players return for this year's open air production: Much Ado About Nothing. Beatrice and Benedick are adamant in their mutual dislike, while Claudio and Hero are deep in love, and the two stories take an unexpected course. Join us for this classic Shakespearean comedy as we witness two love stories collide.